Everyone has an opinion with regard to taxes, particularly here in the U.S. where top earners could see nearly 40% head to the federal government. I thought it was (kind of) funny that there was once a suggested IRS motto, "We have what it takes to take what you have." Regardless of where you stand on taxes, they're not going away any time soon. As the tax deadline gets closer (Tuesday, April 17), American citizens and those living and working in the U.S with a green card, are preparing and getting ready to submit their U.S. annual tax returns for 2017...no matter where they reside in the world. While the new tax changes kick into effect for 2018, this will be the last filing under the old rules, at least until 2025 after which those old rules will go back into effect. So, I thought it might be nice to get a little global perspective on tax rates and consider the best and worst countries for taxes. GOBankingRates just produced a new study that highlights the most and least tax-friendly countries around the world. The study looked at the top rates for income taxes, social employee taxes (i.e. payroll taxes) and indirect taxes like a sales tax or VAT. There were some interesting results! "The study reveals some interesting geographical and regional trends surrounding tax rates. The most tax-friendly countries, in particular, tend to have a lot in common. There are seven countries from the Middle East in the 20 most tax-friendly group, including six of the top 10. And, there are six different island nations among the 20 most tax-friendly, including at least one nation in each of the world’s three largest oceans." 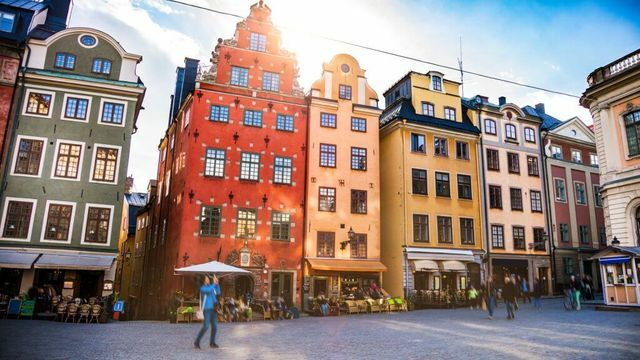 Then, according to the report, the "20 least tax-friendly countries are predominantly European, with 15 of the 20 being a part of the European continent. However, those are clearly concentrated in Northern and Western Europe, for the most part, as Eastern Europe featured four countries among the most tax-friendly." North America and Africa did not have any countries featured in the least tax-friendly list. There were 17 countries that had lower top tax brackets than the United States. Another interesting trend per GOBankingRates was that despite top tax rates in those countries being lower than those in the U.S., every country on this list — except Mexico — is still collecting more taxes as a portion of their total GDP than the U.S. That means countries like the U.S. and Mexico are collecting fewer taxes proportional to their economic output, indicating that these nations are probably collecting taxes from other sources than just their income and corporate taxes. If you are a U.S. expat out there in the world, you likely have to consider some additional elements at this time of year like FATCA, PFIC, OVDP, FBAR, FAST Act, and getting a complete GSOE! For more on expat tax and U.S reporting of Foreign Assets, consider what Global Tax Network has to say here.